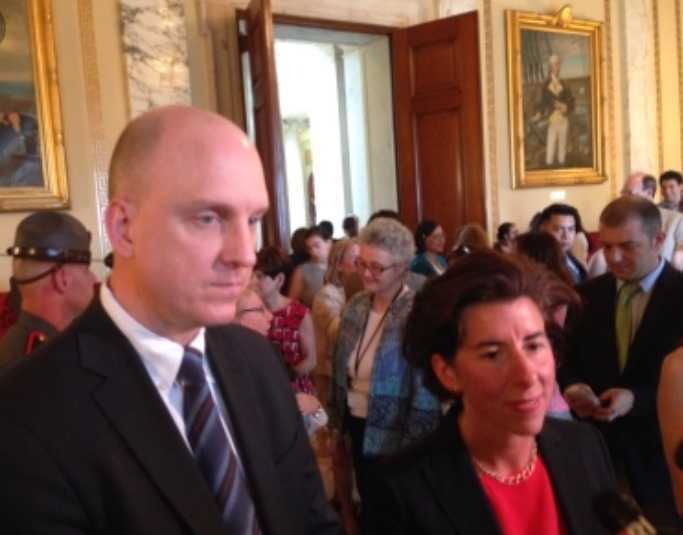 An announcement for a successor to Rhode Island’s education commissioner, Ken Wagner, is expected in the coming weeks, as state officials focus renewed attention on the need to improve the state’s perennially under-performing public schools, The Public’s Radio has learned. Megan Geoghegan, spokeswoman for the Rhode Island Department of Education (RIDE), denied that Wagner is leaving. But The Public’s Radio has learned that an announcement involving a recommendation for a new state education commissioner is expected in the coming weeks. But decades of talk about the need to improve Rhode Island’s public schools have yielded relatively little progress. That point was driven home when Rhode Island Comprehensive Assessment System (RICAS) results released in December showed Massachusetts students in various demographics significantly out-performing their counterparts in Rhode Island. Massachusetts implemented a significant education reform package more than 25 years ago that, among other things, created a foundational level of educational funding for different municipalities. Rhode Island, by contrast, has failed to stick with a long-term plan for improving public schools, as Wagner and other state officials acknowledge. While talk of a possible exit by Wagner has circulated recently in education circles, the hiring a new education commissioner will allow that person to start around the same time state officials are elevating their attention on public education. In the aftermath of the disappointing recent test results, Rhode Island Senate President Dominick Ruggerio criticized the state Department of Education, and House Speaker Nicholas Mattiello vowed a heightened focus on public education. During a year-end interview with The Public's Radio, Raimondo said she would elevate her attention on the issue of the state's under-performing schools, although she said -- due to the various demands she faces as governor -- it would not be with the single-minded focus she used on pension reform in her former role as state general treasurer. It remains unclear for now who will be recommended as Wagner’s successor. Wagner had been elected to his local school committee at age 18. Before coming to Rhode Island, he went on to work in New York as a school psychologist, middle school principal and senior deputy state education commissioner for education policy.